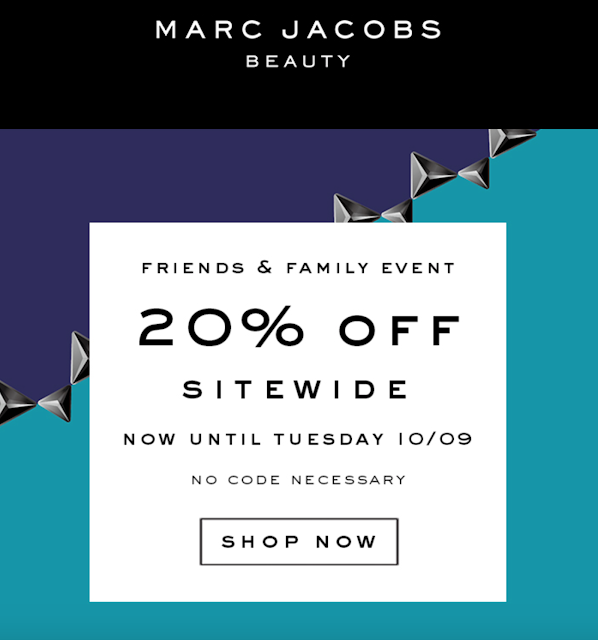 Marc Jacobs Beauty is having a Friends & Family 20% Off SITEWIDE Sale, and if you missed the Sephora VIB Sale, then you have a great opportunity to get your favorite Marc Jacobs Beauty picks with a nice discount. The offer includes all products including sale items! To receive the 20% off sitewide, add qualifying products to bag and discount will apply automatically. No code necessary. Offer applies to all products including sale items. Offer cannot be combined with anything except sitewide free shipping offers. The site wide U.S. free shipping offer at $50 will be applied when merchandise total is at or above $50. The site wide international free shipping offer at $150 will be applied when merchandise total is at or above $150. This offer is not redeemable for cash, credit, nor are they valid toward previous purchases (Affiliate Links).